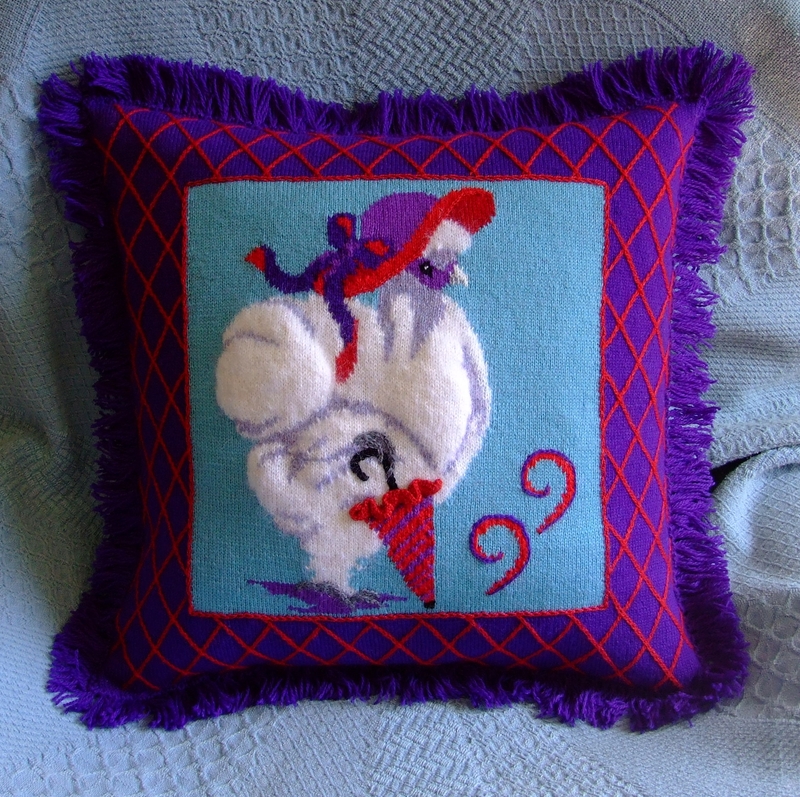 Today I finished my Red Hat Silkie pillow. 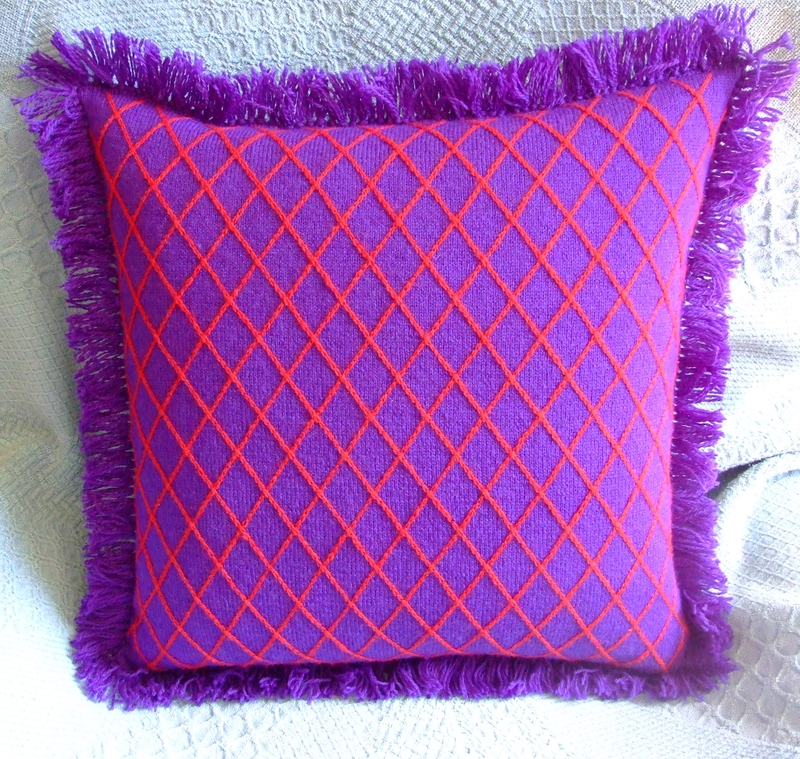 This has been a joy to work on, and soon I will be sharing the pattern on my Designer Pillows page, but for now here she is ready for her debut in Southern Idaho. I love the floating red chains over the purple background. I think this would make a lovely fabric for various projects. I hope to make a video of the the process soon, as this color combo should make it very easy to see. Will upload it ASAP.